This is F1Minute - FIA confirms regulation changes for 2012. 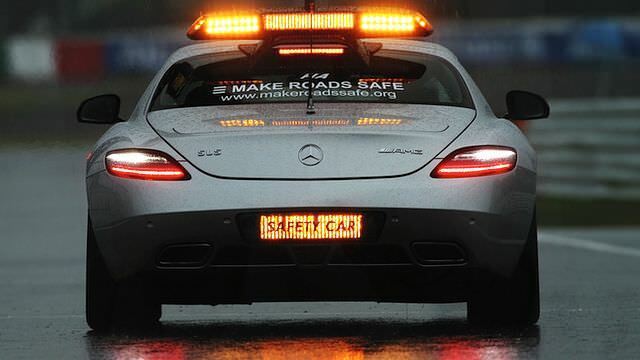 After a meeting of the World Motorsport Council this week, the FIA have announced their regulation changes for next season, starting with yet another tweak to the Safety Car rules. Now, lapped drivers will be able to unlap themselves before the Safety Car pulls off track, to enable a clean restart without the leaders getting stuck behind slower cars. This is a regulation the FIA have tried previously and already changed, but they are giving it another go. Teams will be allowed to use all their sets of tyres whenever they like over a race weekend, rather than a specific number of sets for each practice session. They also have to get their cars through crash tests before being allowed to participate in any winter testing. Races themselves have now been given a four hour maximum time, to try and stop any lengthy rain delays dragging proceedings out. Finally, drivers will not be allowed to leave the track without good reason, for example cutting a chicane, and if a driver moves off the racing line to defend his position, he can’t take it straight back again.